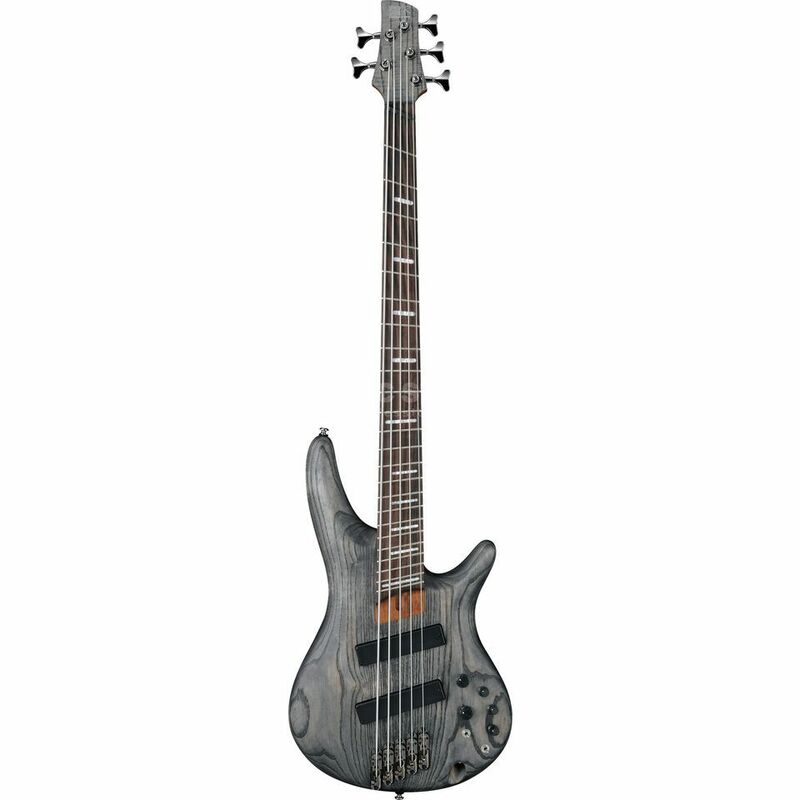 As part of the Bass Workshop Series, Ibanez is regularly releasing basses that were developed to meet the personal wishes of the Ibanez bass designers. These special instruments feature new, innovative ideas and features and should help musicians to explore new territory and to expand limits. The real highlight of the Ibanez SRFF805 is the fretboard with fanned frets. The array of frets is result of an individualized scale for each fret; the SRFF805 has a 34” (954mm) G sting up to 35.5” (902mm) B string. The different scale lengths makes the tension between the strings more balanced, which causes the lower strings to have a more defined tone with longer sustain, while the higher strings can be played comfortably with same tone definition. The Ibanez SRFF805 is equipped with passive Bartolini BH1 pickups in the neck and bridge positions, which transmit the sound with fantastic definition and over a wide spectrum. An Ibanez Custom Electronic 3-band equalizer is made available allowing for frequency switching while the midrange control provides additional sound options. Additionally, the equalizer can also be bypassed completely if desired. The general controls include a volume and a blend control. The body of the Ibanez SRFF805 is made from Ash, its breathtaking grain is beautifully highlighted by the Black Stained finish. This body wood, in combination with the bolt-on, five-piece Jatoba/Bubinga neck, carrying a rosewood fretboard, defines the sound of this bass. The 5 Ibanez mono rail V bridge secures exceptional intonation, as well as string resonating behavior. The capsulated tuners make tuning very comfortable and improves tuning stability.